It is always great to come home, have a look at your refrigerator that is, of course, well-stocked and makes a dinner of your choice. Well, the instance rather seems a plot of a well-written movie that a reality, but planning your grocery list to shop from the best grocery shopping app can make this real for you. Apps for grocery shopping are available easily on Google Play and Apple App Store. Particularly, if you live with your family, the best grocery shopping apps are going to be the savior for you. Compiling the list of the items to shop from the best apps for grocery shopping is sure to make the process hassle-free for you. But, the choice of these apps may confuse you owing to the greater number of applications available at different Play Stores. Let us share the list of the top-rated grocery shopping applications to help you choose the best. 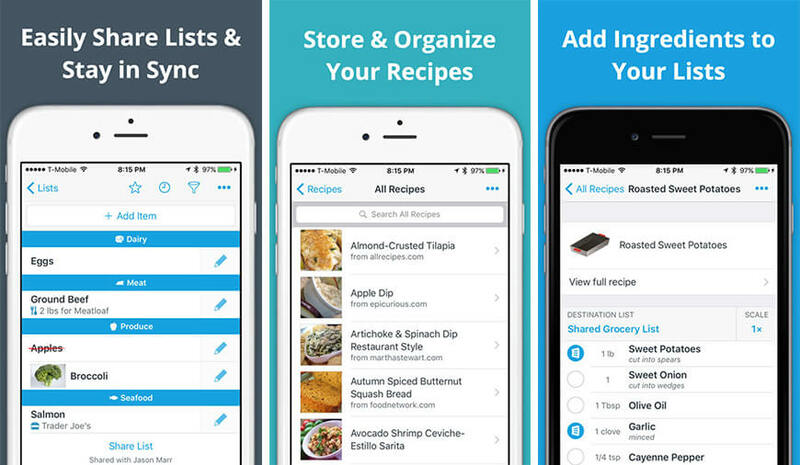 AnyList is one of the most impressive grocery shopping apps for iPhone. It is impressive because of the features it has for a normal shopper. It helps to quickly add and cross off the items. Autocomplete suggests you the shopping items as soon as you start typing any specific name. Adding shopping items with voice command is another splendid feature the app offers to you. The shopper can add notes to the listed items to indicate the brand and the quality. Shopping List Ease - Grocery is a simple but powerful iPhone grocery shopping application that helps users integrate the shopping list to the Apple phone and Apple watch as well. 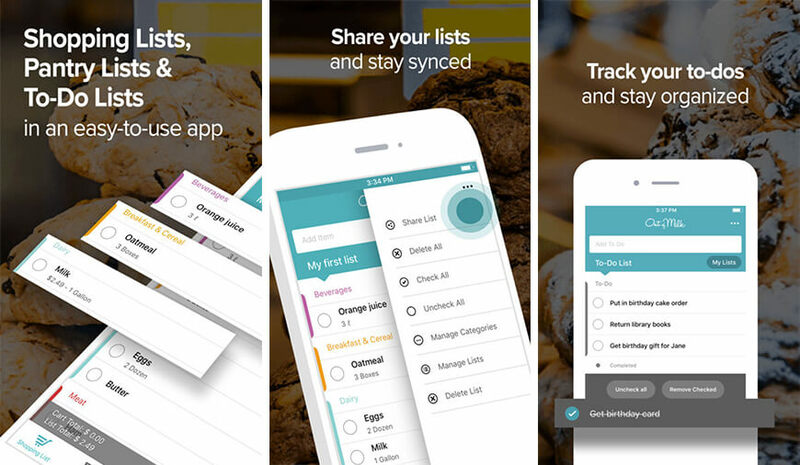 The app is there for you to create the shopping list, to-do list or any other checklist. Not only you can create these list but also share the same with the family and the friends. Additionally, you can arrange the shopping list the way you want - by recipe, by food category, or by available coupons for grocery shopping. Out of Milk iPhone grocery application comes to your rescue when you accidentally forget that one most desired item on your shopping list. The pantry list of this iPhone shopping application keeps you updated on the items that are over from your grocery. You can also keep the track of your essentials helping you know the status of your grocery at the home. Grocery iQ is the exceptional features of this grocery shopping app for iPhone make it #1 grocery app of present times. 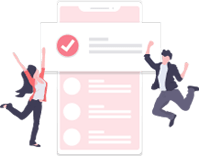 The app does everything for you right from building the list of items that can further be synced or shared on other devices. The users can find coupons to avail the discount. The app has certainly revamped the old-fashioned grocery list to a 21st-century application. 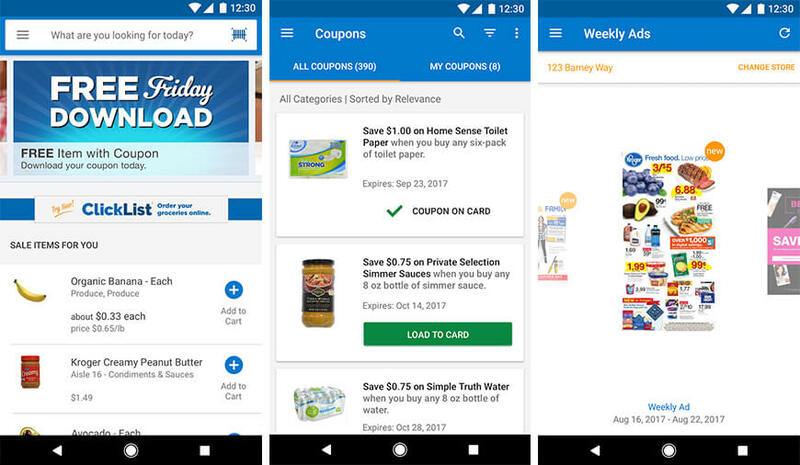 Kroger is android grocery shopping app saves your time and money and provides an exceptional shopping experience. The app offers convenience and helps the users save massively on their shopping. You can create an app account, register the Kroger Shopper card to take advantage of the great benefits. Exclusive promotion and personalized offers are all there for users to get benefit from. Our Groceries Shopping List app is one of the best grocery shopping app for Android, Our Groceries Shopping List keeps family’s grocery requirement in sync with the latest change even on every family member’s phone or web browser. The list can be shared to iPhone devices, which is another impressive news about this Android grocery shopping application. The app also adds photos to the shopping items. Installing Checkout 51, a free Android grocery shopping application will help you save exceptionally this holiday season. The app offers you reward and loyalty points. The offers are updated weekly and thus you have the chance to avail some of the exceptional offers. Additionally, you have the chance to earn cashback that too every weekend. 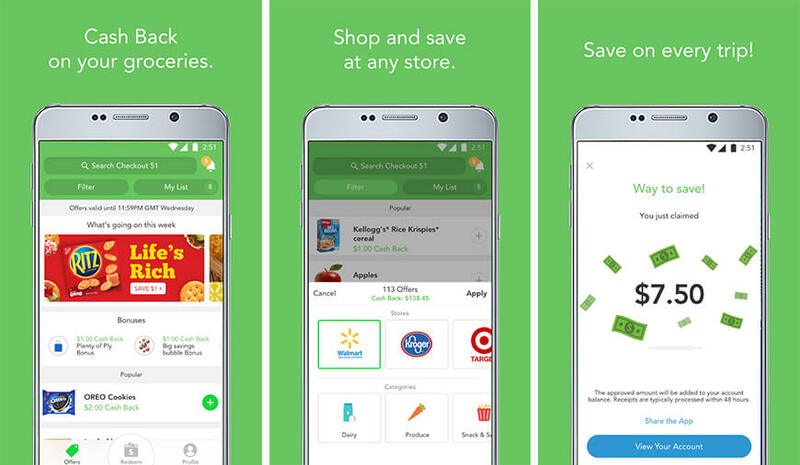 Walmart is one award-winning best grocery shopping app for Android users. The app saves you time and money and offers you free shipping without charging the membership fee. You can use the app to pay safely at the stores through Walmart pay. The app helps you order, track and transfer the prescriptions as well as the refills. Like any other application, this will also require your permission to access the device’s hardware. 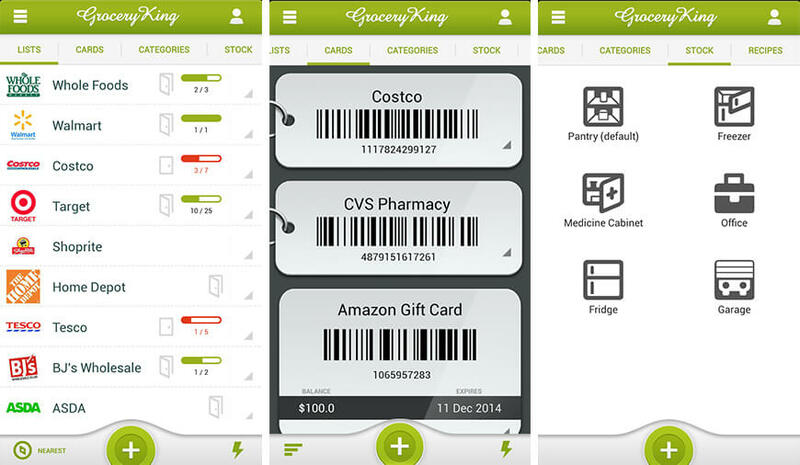 Grocery King Shop List is top Android grocery shopping application offers a whole new experience to the shoppers. The app visually helps you create your shopping list by picking up pictures of the items organized in the list. The app is much more than just a grocery listing application. Its customizable features are highly intuitive helping the users create a list that is appealing. To experience a hassle-free shopping experience, try RedMart. 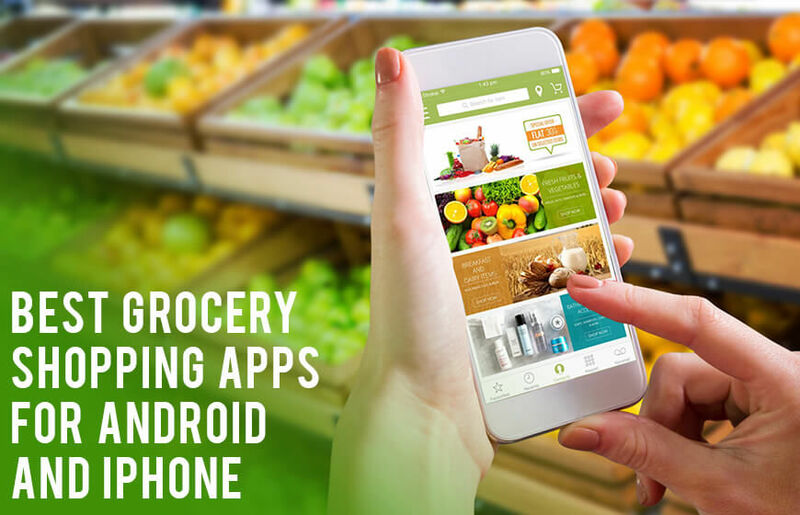 The Android grocery shopping app offers a number of features including hassle-free shopping experience, home delivery and most importantly all the grocery items with a single application. The user-friendly interface of the application offers an exceptional shopping experience to the users. This brings the end to the list of exceptional grocery shopping apps for Android and iOS. In case, you are one like me who rarely steps out to shop around from a brick & mortar shop, then the write-up is going to help you greatly to manage the grocery shopping. Just give these apps a chance and let us know your experience in the comment section below.